Above and beyond the sworn statement of an irretrievable breakdown, there is a further prerequisite for the issuance of a no-fault divorce judgment. The statute requires that "economic issues" either be resolved by the parties or determined by the court prior to the entry of a divorce judgment. At first glance, the statute's mandate that economic issues be resolved prior to the issuance of a no-fault divorce judgment would appear to be clear. However, in practice, the issue of what constitutes a resolution of economic issues has been the subject of litigation. In a nutshell, the dilemma is that many marital agreements don't actually resolve the parties' disagreements, and simply serve as catalysts for further disputes. In countless cases, before the ink has even dried on an agreement, one or both of the spouses launches a new round of accusations. Sometimes, there is disagreement regarding the interpretation of the parties' obligations under the agreement. In other instances, a spouse will allege that the other party has breached his or her obligations. At bottom, in a surprisingly large number of matrimonial matters, the parties' execution of a settlement agreement does not actually bring peace. The language of New York's no-fault statute does not give much guidance as to whether the parties have "resolved" their financial issues even though they continue to dispute financial issues after signing a separation agreement. Recently, a trial court in Nassau County issued a decision that squarely addresses this issue. In the Burger v. Burger, 36 Misc.3d 752, 951 N.Y.S.2d 332 (Nassau Cty. 2012) the Court squarely addressed this issue, and concluded that the execution of the agreement itself satisfies the requirement of the no fault statute. 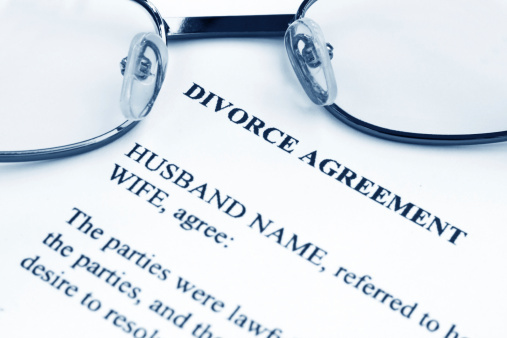 Post-agreement allegations of breach, even if true, do not impair the court from issuing a no fault divorce judgment. I strongly agree with the Nassau County Court's decision. The linchpin of a no-fault divorce is the existence of an agreement resolving the ancillary issues set forth in the statute. The parties' Separation Agreement satisfies that burden. The existence of post-agreement disputes does not defeat the entitlement to divorce based upon irretrievable breakdown. The existence of post-agreement disputes is sometimes attributable to sloppy or rushed work on the part of New York divorce lawyers. One way to avoid such disputes is to exercise tremendous caution with regard to the language used in a separation agreement.